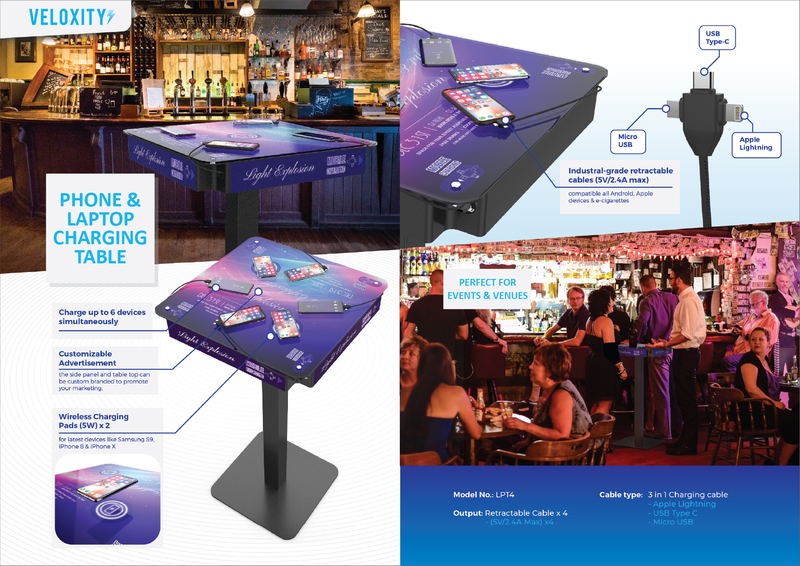 Our hightop charging table features both wired and wireless charging. It supports charging for all phones, most tablets, and has AC outlets for charging other devices like laptops. Custom branding is available for your business, event or sponsors.